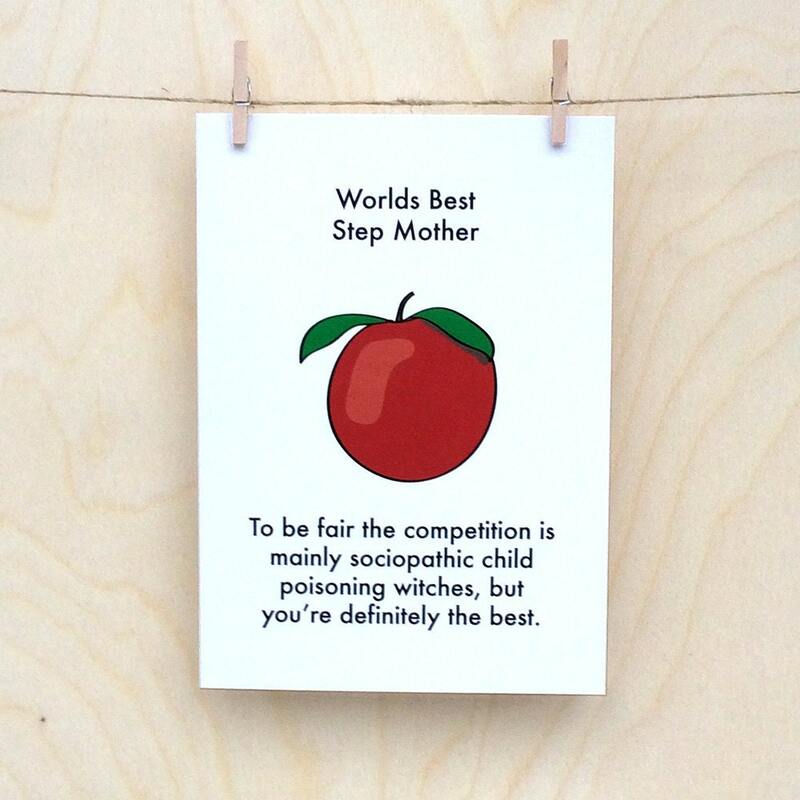 Yes, we know the Step Mothers day card market is not absolutely massive, but it really it should be. Some of them are bloody amazing. They need there own sub section in the greetings card market. It starts here. Amusing greetings card printed on 125mmx175mm 300gsm matt card. Professionally printed, comes with red envelope in cellophane wrapper. Shipped in hard envelope.